Discover the 5 most exciting perfume labels Made in Berlin: April Aromatics, Biehl, Geza Schön, Schwarzlose and Urban Scents. 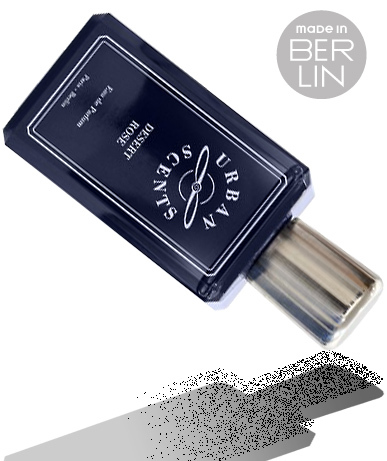 Berlin is slowly but surely becoming a top go-to fragrance hotspot. 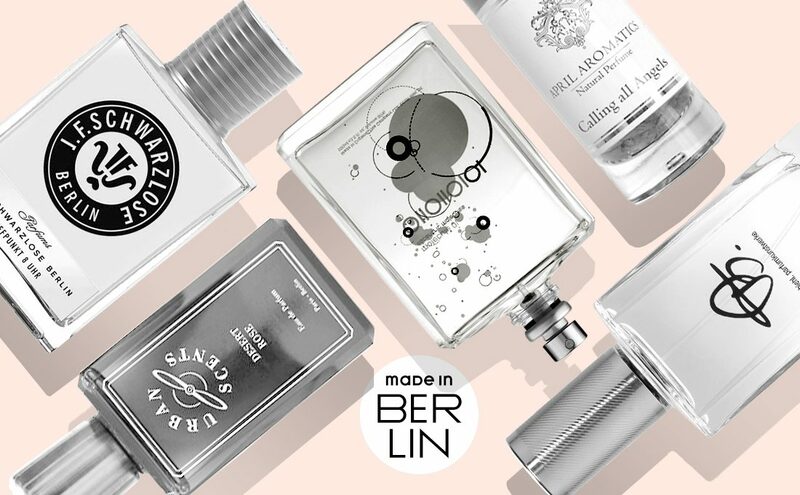 Numerous internationally successful perfumers and labels have set up base in Berlin so as to draw inspiration for their labels from the capital’s heady vibes. And in April this year Los Angeles-based Institute for Art and Olfaction chose the spectacular architecture of a former crematory in Berlin’s lively Wedding district to hold this year’s Art and Olfaction Awards. Made in Berlin: The Capital’s Top 5. Geza Schön, the nose behind Escentric Molecules. Photo: www.escentric.com. Legend has it that Geza Schön strode into the HQ of perfume developers Haarmann & Reimer in Holzminden, Germany, as a teenager, and calmly announced he wished to learn to make perfume. Impressed by this chutzpah, the company took the young man at his word and granted him a classic perfumer apprenticeship. Geza became one of its most successful employees and continues to work for major houses to this day. But he wanted more. In 2006 he founded his own label and launched Molecule 01. This consists exclusively of Iso E Super, a molecule used generally as an ancillary perfume ingredient. To sell a synthetic molecule as perfume — and boast about it, to boot — was a scandal! Even ten years down the road, some perfumers still hate Geza Schön from the bottom of their hearts for breaking a taboo like that. Or perhaps they are merely jealous, given the perfume’s sensational success. Molecule 01 is a modern classic, one that I like to compare with Malevich’s “Black Square,” a monochrome canvas from 1913 that prompts indignation in many people, even today. “Anyone can paint a black square!” Which may be so — but only Malevich thought to do so. Fact is, Molecule 01 works — and stories are rife of the many witty or even amorous episodes in which its wearers become embroiled. For anyone not yet persuaded that Geza Schön can handle more than one ingredient with equal aplomb, Wode and his Beautiful Minds series hold much excitement in store. 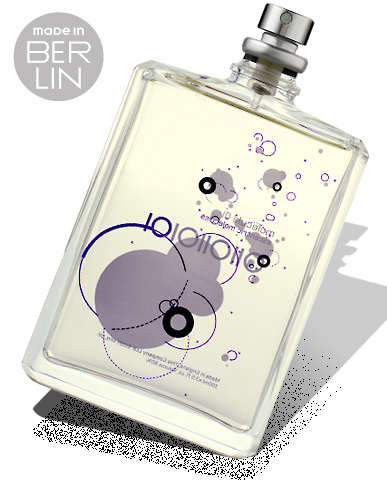 Scent innovation Made in Berlin. Urban Scents: A Parisienne in Berlin. Marie Le Febvre, perfumer and founder of Urban Scents. Photo: www.urbanscents.de. A Frenchwoman who packs up her flacons and leaves Paris for Berlin? For many people this is as weird a proposition as a country singer who moves from Nashville to Tokyo or a slalom ski racer who moves from Gstaad to Naples. But madame is up for adventure! Marie Le Febvre travels the globe, mostly with the joystick in hand, for she is an avid pilot. The same driving ambition also saw her through a tough chemistry degree course at the renowned ISPICA perfume school in Versailles then several years’ intensive training under rigorous master perfumers. After ten years in major perfume houses the moment came to start up her own business. In 2014, she and Alexander Urban, her Austrian husband, moved to Berlin. The duo has since set up a sort of creative hub in Schöneberg. Marie’s lab adjoins her husband’s gallery and alongside that is Alexander’s showroom for Moroccan hand-made tiles — quality and creativity being the common thread between them. Thanks to her classical training Marie has the know-how to implement her innovative ideas to perfection. Lost Paradise is an interesting reinterpretation of the classic chypre theme with osmanthus and gourmet notes. And my favorite, Desert Rose, presents the flower of flowers as it has seldom smelled before: fresh, aromatic, and very modern. Her latest offering, Vetiver Réunion, is a must for all lovers of the precious vetiver root. For the individualist, Marie may also develop a signature scent — which demands an intensive trip to one’s inner self, possibly of several months’ duration. Tanja Bochnig, perfumer creative mind behind April Aromatics. Photo: ©Holger Geffken via www.willbeabrand.com. Tanja Bochnig is living proof of the fact that study at one of the world’s few perfume schools is not the only route to a successful career in perfume. Praised to the skies by critics, adored by its numerous fans, April Aromatics has received several distinctions, inter alia the prestigious Arts and Olfaction Award, one of the rare truly independent perfume competitions. After an international modeling career and twenty years in New York Tanja is now back in her native Germany. The potential of perfume struck her while she was working as a yoga teacher. Indeed, the close connection between breathing and olfaction inspired her to develop a new variety of the discipline, which she named aromayoga. Producing scent then seemed like the logical next step. April Aromatics uses natural ingredients and nothing but — a major technical and artistic challenge, but one that Tanja masters with flying colors. To anyone interested in exploring the April Aromatics range, I recommend — in keeping with our theme, of course — Unter den Linden, a delicate lime-blossom-based scent that prompts a longing for those carefree nights of summertime Berlin. Another olfactive stunner Made in Berlin: Calling All Angels, a complex, dark frankincense fragrance with a touch of honey. 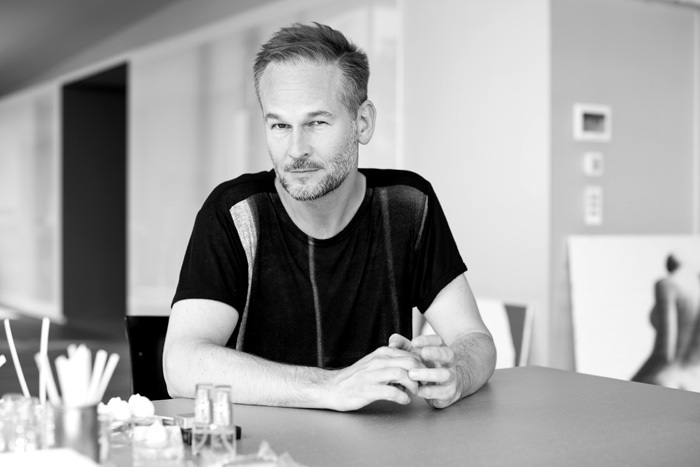 Thorsten Biehl, founder and curator of biehl.parfumkunstwerke. Photo: www.biehl-parfum.com. The oft contested question of whether perfume is an art form is determined in part by the language in which it is put: in English the woman who decorates your fingernails is a nail artist whereas in German the benchmark lies somewhat higher. It therefore seems only reasonable for Thorsten Biehl, founder of biehl.parfumkunstwerke [biehl.perfume artworks] to focus on specific criteria, namely premium quality, limited availability and the greatest possible personal freedom. He invites perfumers from all over the world to his “gallery,” and thereby allows them free rein. 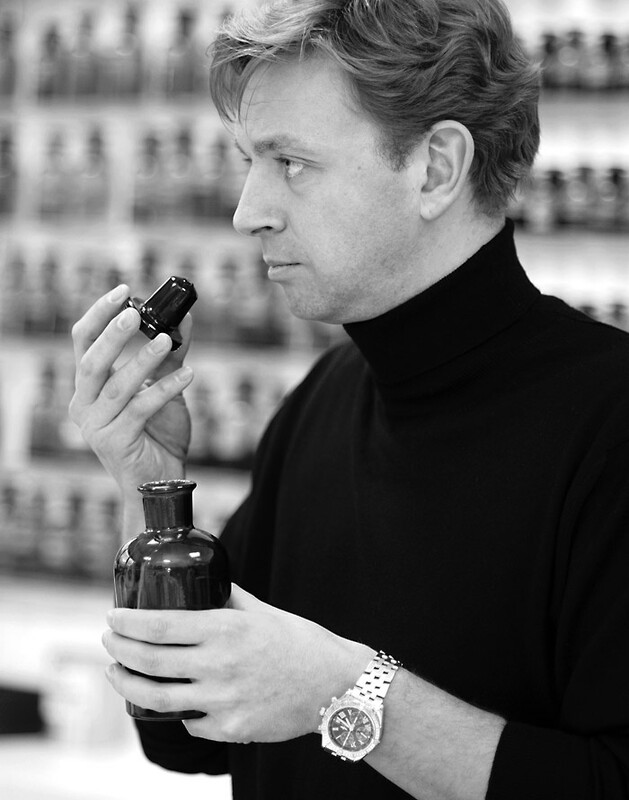 Son of the renowned perfumer Henning Biehl, Thorsten has perfume in his blood. And in his own right, his twenty-year track record in the fragrance business, albeit in a conceptual and advisory rather than a hands-on capacity, speaks for itself. Not only father Henning but also, among others, Mark Buxton (Comme des Garçons, Le Labo, etc.) 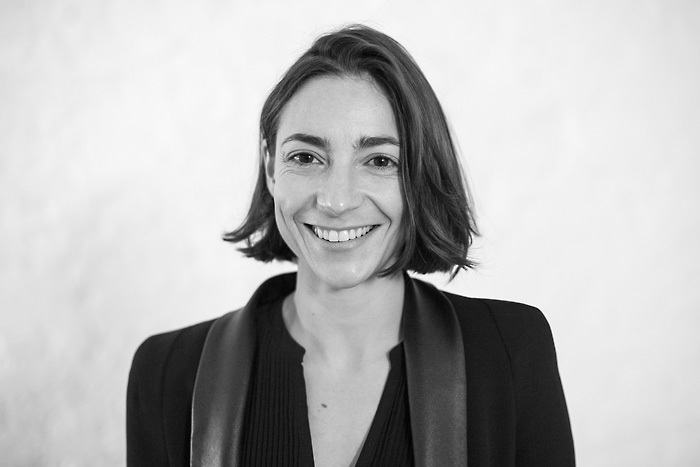 and Patricia Choux (Marc Jacobs, Carven, etc.) have contributed creations to his label. For starters, I recommend al02 from Arturetto Landi (oriental-spicy with plum, peach, clove, and tonka bean) or the aromatic-tangy eo02 from Egon Oelkers (grapefruit, fir, thyme, and cedar). But Thorsten Biehl never overdoes the art analogy — fortunately for us, since art often seeks to shock or to transgress aesthetic boundaries, and who on earth would want a Jonathan Meese around his neck? 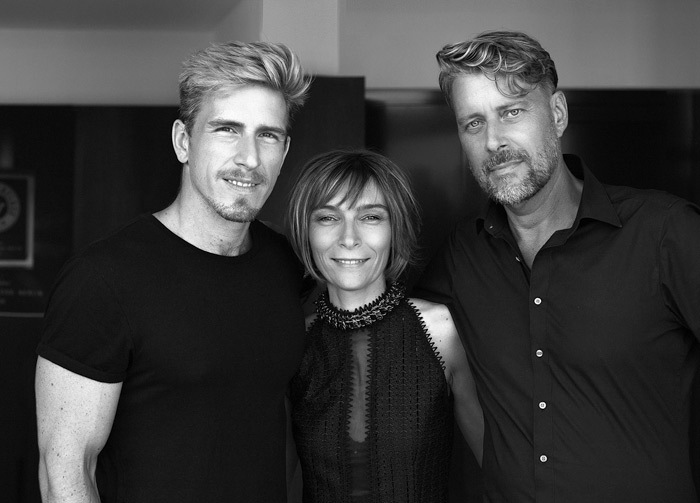 Perfumer Véronique Nyberg wirth Schwarzlose’s Tamas Tagscherer and Lutz Herrmann. Photo: www.schwarzlose.com. This label is on its home ground in Berlin. The fragrance house was founded in 1856 in what was then the capital of Prussia and over the following century numbered among its clients many European royals as well as Berliner it-girls of the roaring twenties. After the Second World War the brand fell into oblivion and in 1976 was finally abandoned. Then, in 2012, two perfume enthusiasts came across Schwarzlose ads and posters in an archive and decided to revive the label. Designer Lutz Herrmann was already experienced in the field, having created classic flacons in the 80s, inter alia for Davidoff and Jil Sander — the reason there’s a genuine Hermann in almost every bathroom cabinet in Germany. His companion Tamas Tagscherer is the marketing expert and responsible thus for positioning the label. Together with French perfumer Véronique Nyberg they are now working to fuse the label’s legacy with Berlin’s current image as the capital of newfangledness and recondite endeavor. 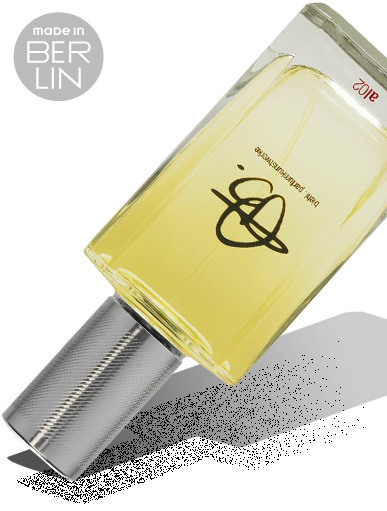 The outcome is a range of exciting and intensive perfumes with names like Zeitgeist, Trance or Rausch. 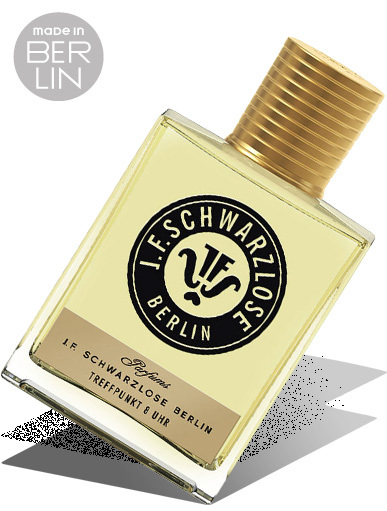 Especially charming: Treffpunkt 8 Uhr [Date at Eight] — the re-launch of a Schwarzlose classic that combines sensuous mango, ginger, saffron, and grapefruit to evoke the flirtatious, vivacious life of 1920s Berlin – olfactive heritage Made in Berlin. Don’t miss Schwarzlose’s most recent launch, Altruist, which was one of the winners at this year’s Art and Olfaction Awards.